April 27: “A Celebration of Colorado Artistry: Shared Visions” showcases works by four Colorado composers. Boulder performance is 7:30pm at St. John’s Episcopal Church, 1419 Pine St. There’s also a performance in Denver on April 26. www.arsnovasingers.org. Arts Longmont and the Longmont Museum team up to present monthly low-cost programs (beginning in October) that combine musical performances with an art exhibit by a local artist. Art shows open at 1:30pm; music begins at 2:30pm. In the Stewart Auditorium at the Longmont Museum, 400 Quail Road. www.artslongmont.org. Jan. 9, March 6 & May 8: Jeffrey Siegel Coffee Concerts (11am) and Keyboard Conversations (7:30pm) include informal dialogue that help the audience fully engage in the music. The center, at 6901 Wadsworth Blvd. in Arvada, also hosts a number of other musical performances throughout the season. See www.arvadacenter.org for the complete lineup. ASTER Women’s Chamber Choir performs in Boulder and Broomfield. www.asterchoir.org. The Boulder Bach Festival celebrates the music of Johann Sebastian Bach all year long with high-quality performances and educational opportunities in Boulder, Longmont and Denver. 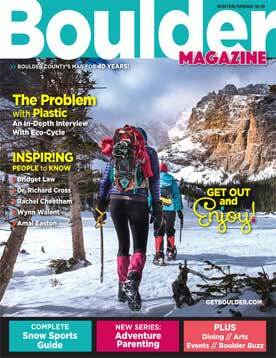 Check www.boulderbachfestival.org for more details and venue information. This group likes to joke that they go on tour ”all the way from north Boulder to south Boulder,” but if you check their calendar, you’ll see that they get out of town once in a while, too. See upcoming performance dates at www.boulderbassoons.com. March 29-30: Geraldine Walther (viola) from Boulder’s own Takács quartet performs at 7:30pm at Boulder Adventist Church, 345 Mapleton Ave. See www.boulderchamberorchestra.com. The Boulder Chorale’s 2018-19 season, called “Our Story,” also celebrates the 10th anniversary of the Boulder Children’s Chorale. Winter/spring performances are listed below; check www.boulderchorale.org for more details about each. Dec. 15: The Boulder Concert Band’s holiday concert is at 7pm at Boulder Adventist Church, 345 Mapleton Ave. The band is always looking for new musicians, so if you can play the trumpet, oboe, bassoon or percussion, contact the group through the website, www.boulderconcertband.org. 1st Sundays: BFJ is a nonprofit organization dedicated to the preservation, promotion and performance of traditional Dixieland jazz. Monthly jam sessions are held the first Sunday of every month from 1-4pm at the Avalon Ballroom, 6185 Arapahoe Road. Everyone who signs in is guaranteed to play. 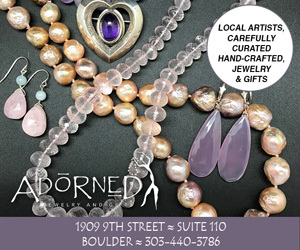 303-449-9596; www.boulderfriendsofjazz.org. Dec. 7-9: Boulder Opera presents “Little Red Riding Hood” by Cesar Cui, a perfect introduction to opera for children. Matinee and evening shows each day at Nomad Playhouse, 1410 Quince Ave. See details and other performance dates at www.boulderoperacompany.com. 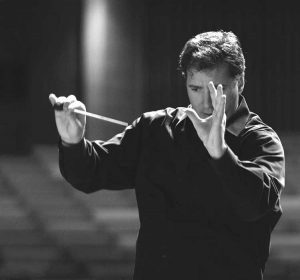 The Boulder Phil’s new season is themed “Open Space,” featuring extraordinary music selections that celebrate Boulder’s iconic natural surroundings. 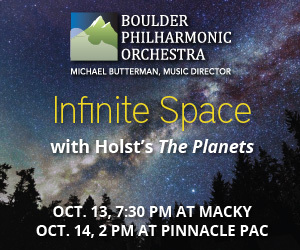 Most performances are at CU’s Macky Auditorium, but some are in Denver, so check www.boulderphil.org for additional details and more of the schedule. Boulder Public Library presents dozens of outstanding concerts each year that are free and open to the public. Check www.boulderlibrary.org for these and other scheduled performances. The main library is at 1000 Canyon Blvd., 303-441-4492. Dec. 2 & 9: “To Shorten Winter’s Sadness” is a program of early Christmas and seasonal music, including medieval carols and a set of Chanukah pieces. Dec. 2, 7pm at Grace Lutheran Church, 1001 13th St.; Dec. 9 performance is in Denver. See the group’s Facebook page for details. Feb. 23: “Evolve” features both old and new works that celebrate freedom and rebirth, including the Colorado premiere of Daniel Kellogg’s “Phoenix Rising.” Pre-concert talk at 6:15pm; performance at 7pm at First Presbyterian Church, 1820 15th St. The rest of the season’s schedule is listed below; check www.bouldersymphony.org for details. The historic Boulder Theater, just off the Pearl Street Mall, hosts national music acts year-round. A few are listed below, and more are always being added to the schedule. The Boulder Theater is at 2034 14th St. 303-786-7030; www.bouldertheater.com. The city of Broomfield hosts a wide variety of concerts in the spacious, state-of-the-art Broomfield Auditorium each season. Check www.attheaudi.com for the winter/spring schedule. The auditorium is at 3 Community Park Road in Broomfield. Feb. 8 & 10: “A Musical Life: Childhood to Today” is a collaboration with the Douglass Elementary Choir, featuring poetry written, music composed and songs sung by children. Friday, 7:30pm at First Congregational Church, 1128 Pine St., Boulder; Sunday, 2pm at Longmont Museum, 400 Quail Road, Longmont. www.cantabilesingers.org. This popular ensemble performs in Broomfield and sometimes in Arvada; find updated winter/spring performance information at www.congrazia.com. The historic Chautauqua Auditorium and Community House draw popular performers from all over the world. Visit www.chautauqua.com for a full schedule of concerts, plus ticket information (many sell out quickly). 900 Baseline Road. 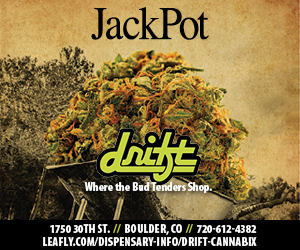 303-442-3282 ext. 35. Jan. 12-13: 17th-annual event includes contests for all ages, all the way from “Small Fry” to “Grand Senior.” At the National Western Stock Show Complex in Denver, during the opening weekend of the National Western Stock Show. Check for the updated schedule at www.coloradofiddlers.org. Jan. 11: CHP presents an evening of Haitian music and stories of the country’s resilience, on the anniversary of the devastating earthquake there in 2010. 9pm at Laughing Goat, 1709 Pearl St. www.coloradohaitiproject.com. May 13-19: The 32nd-annual MahlerFest offers open rehearsals, chamber concerts, conducting master classes and a symposium. Events are held at Macky Auditorium on the CU campus and at Dairy Arts Center. Find an updated schedule at www.mahlerfest.org. This one-of-a-kind organization provides a broad spectrum of music-education opportunities and world-class performances, including the Colorado Music Festival held each summer. For a list of fall events and classes for all ages and abilities, check www.comusic.org. The center is at 200 E. Baseline Road in Lafayette. Dec. 7-8: “Reflections,” CRS’s holiday concert, showcases stories and songs that will “stir your heart and mind with winter reflections.” At Broomfield Auditorium, 3 Community Park Road; check www.coloradorepertorysingers.org for tickets. Most of CSO’s performances are at Boettcher Concert Hall, 1000 14th St., Denver. A few upcoming performances are listed here, but see www.coloradosymphony.org for the full schedule and ticket details. The University of Colorado’s Artist Series has been bringing world-class musical performances to Boulder for more than 70 years. CU’s College of Music also presents numerous events during the year, including free student and faculty recitals. (Also see separate listing for Ecklund Opera Program.) Find more info about the events listed below, and many others, at www.cupresents.org. Longmont’s historic 1881 opera house, downtown at Third and Main streets, hosts live music several nights per week, and many events are free. See the winter/spring lineup at www.dickensoperahouse.com. March 15-17: In 19th-century rural Russia, romance and tragedy unfold in the fates of two sisters in Tchaikovsky’s “Eugene Onegin.” At CU’s Macky Auditorium; see www.cupresents.org for times and ticket info. undergraduate students. eTown Hall is a live-music venue in downtown Boulder that also has a full-service recording studio and is the setting for most tapings of the “eTown Live Radio Show.” See www.etown.org for information about the center and more upcoming shows. eTown Hall is at 1535 Spruce St. 303-443-8696. This nationally known club at 1135 13th St. on the Hill presents live shows several nights a week. A few highlights are listed below; check www.foxtheatre.com for updates. 303-443-3399 or 303-447-0095. May 10: Lafayette’s Art Night Out begins anew season with live music at Festival Plaza, 311 S. Public Road. See www.cityoflafayette.com/ano. The Laughing Goat, at 1709 Pearl St., hosts an eclectic variety of musical events every night of the week, including Wounded Bird on Jan. 12 and Rabblefish every second Wednesday. www.thelaughinggoat.com. Oct. 14: The Longmont Chorale’s new season begins with “Comin’ for to Carry Me Home: Songs of Faith, Hope and Deliverance.” 3pm at LifeBridge Church, 10345 Highway 66 in Longmont. www.longmontchorale.org. Most of LSO’s performances are at Vance Brand Civic Auditorium, 600 E. Mountain View Ave., Longmont, but check www.longmontsymphony.org for more info about the dates listed here. May 11: Pops Concert: The LSO in Space! Dec. 15-16: The Messiah Sing-Along has been a holiday tradition in Boulder since 1983. It’s open to all, and the audience is invited (but not required) to sing along with the Boulder Messiah Chorale and Orchestra. 5pm Saturday and 2pm & 7pm Sunday at St. John’s Episcopal Church, 14th and Pine streets. Organizers say the matinee is the most likely to sell out, so get tickets early at www.messiahsingalong.org. Nissi’s hosts live music several nights per week, and serves tapas and drinks. Shows start at 7:30pm and end around 9:30pm, 10pm on weekends. See the website for the winter/spring schedule, which includes Nelson Rangell, Dueling Pianos, Girls on Top and Peter Kater. 2675 North Park Drive, Lafayette. 303-665-2757; www.nissis.com. The not-for-profit Opera on Tap’s mission is to prove that opera doesn’t have to be pretentious, boring or expensive. Performances are in Boulder and Denver; check www.operaontap.com. Check the website calendar to see who’s playing at the four Oskar Blues locations: the original in Lyons; the Tasty Weasel Taproom in Longmont; and Oskar Blues Homemade Liquids and Solids in Longmont, the new Oskar Blues Boulder Taproom on the Pearl Street Mall. www.oskarblues.com. Dec. 3-6: Check www.bluegrass.com in early December for info about ticket sales and camping reservations for Planet Bluegrass’s popular summer music festivals in Lyons and Telluride. They always sell out, so you’ll want to get tickets well in advance. Also, check after the first of the year for information about spring concerts in the Wildflower Pavilion. The Renaissance Project specializes primarily in Renaissance motets and other pieces of a similar aesthetic. The group’s performance calendar usually includes concerts in Boulder, Longmont and Denver; visit www.renaissanceprojectboulder.org for details. April 6, 7 & 13: This 125-voice chorus sings contemporary choral music with an emphasis on social awareness; details about the spring concert were not finalized at press time, so check www.resonancechorus.org for updates. Check www.rockymtnchorale.org for information about fall performances, which wasn’t available at press time. Rocky Ridge offers music seminars and recitals for all ages at locations in Boulder and Estes Park, plus a faculty concert series most Sundays in Estes Park called Music in the Mountains. Find the full schedule, registration info and venues at www.rockyridge.org. March 22-24: Boulder-based Seicento Baroque Ensemble presents a spring concert called “In Your Court: A Royal Tour,” showcasing hauntingly beautiful verse anthems created for the Chapel Royal in England, theatrical music composed for the Viennese court and more. Performances are in Boulder, Longmont and Denver, so check www.seicentobaroque.org for venues more details. Sound Circle is an a cappella women’s ensemble based in Boulder; see www.soundcirclesings.org for a performance schedule. Catch live music on the terrace or in the lovely lobby at St Julien Hotel, 900 Walnut St. Check the winter/spring events calendar at www.stjulien.com. Dec. 14-16: Tara’s annual Christmas celebration for all ages showcases choral and handbell music, plus community carol singing by candlelight. 5pm & 8pm each evening at Pine Street Church, 1237 Pine St. www.tarahighschool.org.